I thought I would share with you my efforts at cardmaking. I've never done anything elaborate or used special card die-cuts or stamps, but I've enjoyed making simple, personal cards for dear friends. I have had in my mind to make a pop up card for sometime. I saw a few on the net and thought this would be a cute and fun project to do. They reminded me of my childhood when pop up cards were so popular. I'm making this card for my friend, Nancy, who recently had a stroke. Nancy loves purple almost as much as I do so I'm making sure I use lots of purple. And I hope receiving this will be a bright spot to her getting better. Recovering from a stroke is a very slow process. Spring is definitely in bloom. There's no better way to celebrate than to craft a card using vibrant purple hues found in the colors of spring flowers like pansies. I've already made a basket full of faux pansies as a door wreath and have added real ones to my outdoor planter and urns which I'll show you in another post. For now, lets get started with making the folding paper pansy flowers for my "Get Better" card. Take regular printing paper and cut it in half. You will need 7 of these half sheets. Fold the half sheet in half and fold in half again. Turn the paper over and fold down the other side flap, forming a triangle. Next, you can take a small round object such as a top or quarter and trace an arc onto the triangle, or if you feel confident to just draw an arc on the triangle. Cut out along the arc to make a cone shape of your folded paper. Open the cone and you have an 8 petal flower. Isn't it cute! You can use this cone pattern to cut out the other 6 cones so that all the flowers will be the same size. You will need a total of seven flowers. Now it's time to decorate the flowers. You can decide how you want your flowers to look and what colors you want to use. I wanted to make purple pansies and started coloring the center using a yellow sharpie . . .
added black around the yellow . . .
and then painted on purple edges using acrylic paint. Decorate the rest of the flowers the same way. To form the flower shape, cut out one petal from the open flower. And then apply glue to one of the petals on either side of the cut out and overlap, one petal on top of the other. The edges should match forming the petal. Repeat for the other 6 flowers. Once all the flowers are glued together individually, fold each flower in half. following fold lines. Next, the 7 folded flowers are glued together. *But, before we start, in order for the pop up flower to open properly, it is important to only put a dab or dot of glue on the tip of the selected petals and no where else. To begin, take a folded flower and put a dab of glue on one right petal (X), and then align the petal of another folded flower on top as pictured. Do the same for the other side. Put one dab of glue on the left petal (X), and align the petal of another flower on top. Put a dab of glue on the top 3 center tips (X X X). Align another flower on top of them. Put a dab of glue on the tips of the 2 right petals (X X), and align another flower on top of them. Do the same for the other side. Put a dab of glue on the 2 left petal tips (X X), and align a flower on top of it. Put a dab of glue on the 3 middle tips (X X X) and align the last flower on top of them. Sorry, I didn't take a picture of the flower open at this point. Since I was mailing this to my friend, I wanted to add words of encouragement, my sentiments and decorate the front of the cardstock paper before I glued the flower inside. Using a sheet of heavy duty cardstock, I printed out what I wanted to say and folded it in half. Next, I cut out a flower similar, but smaller, to the ones I made and painted it the same as before, adding a couple of cutout leaves to the flower and glued it to the front of the card. To glue the pop up flower inside, position it in the center of the paper on the right hand side, as shown below, with the open side "v" facing the fold line. Place a dab of glue on the tip of the back (underneath) middle petal and press down. Next, place a dab of glue on top of the middle center petal and close the front page of card and press down until dry. Keep card closed until dried completely. Opening the card before it is completely dry may cause the flower to pull apart from card. Once dry, open the card and watch the flowers pop up! I needed to trim some of the edges of the petals so the undersides where they came together wouldn't show. Making a pop up card may seem complicated but it's not. Just follow the pictorial step by step instructions and you'll see how easy it is. You can find several videos on how to make a pop up card on the net . . . each one a bit different on how to glue the flowers together. I think my way is easy to follow. The flowers in purple are a bit bold, but I love them and I hope you do, too! May you feel good far more often than you don’t. Even when you don’t need it . . . But especially when you do! That's amazing Gail! I never dreamed that pop up cards could be made by hand. It looks just beautiful, and I'm sure Nancy will appreciate your thoughtfulness. I love the purple! Your card is soooo pretty! I love them! 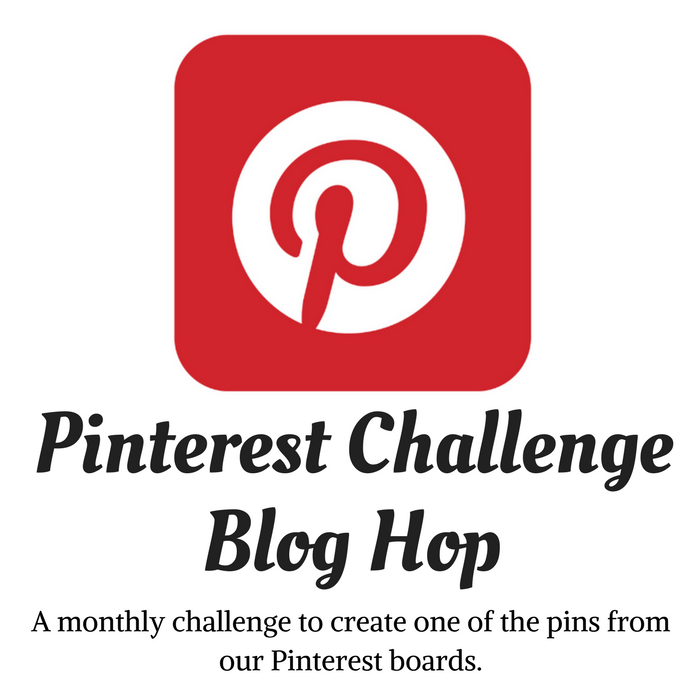 Thank you for posting your blog on creativity unleashed! I blog as well, I hope you will stop by and take a look! I bet this cheered your friend up when she opened it. Your card is amazing - the pansy is just gorgeous! So creative. I love the sentiments on the card, too. Stroke recovery is a struggle, and your good, better, better yet, a little better, a little more better - perfect! Beautiful card, Gail! So creative! Love it! I am sure Nancy will love this card, may her recovery be speedy. Thanks for sharing and linking up with us at the #WWDParty. Oh my Gail! This is GORGEOUS! I am so impressed. Pansies are one of my fave flowers so bright and cheery! Amazing! What a sweet gift for your friend! I wish her the best and for a full recovery. This is sooo cute and creative! And great job on the tutorial. I'm pinning this to our DIY Sunday Showcase talent board! Thanks for sharing with us!! You are just too clever Gail! That is adorable. Wow, this is impressive!! I'm sure your friend really appreciated it! I love your beautiful pansy card. I agree with Debbie...you really are a clever one, just like the "copycat owl" that you did such a great job on. Keep your creativity on! I love this card! Thanks for such easy to follow instructions. Pinning. It's a bouquet you can send in the mail! Very impressive. I have a birthday card I received as a child, just one, and it was from a friend I can barely remember. I saved it because it was a pop-up card. Best wishes to Nancy! Gail, a card like that would brighten up anyone's day! Such a lovely project! Thank you for sharing it on the link-a-long at www.GoCrochetCrazy.blogspot.com ! I hope to see you again at this week's link party! 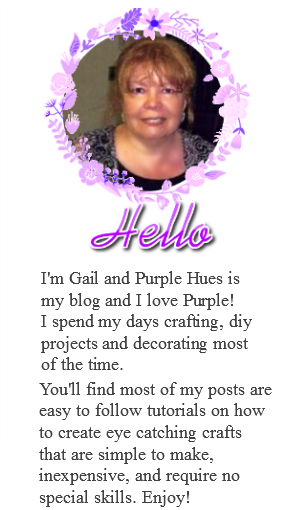 Hi Gail, you are amazing with all of your crafts and art work! I really love this pretty card that you made and everything else that you create for that matter! Congrats on the feature at Clairejusine oxox. What a great card, Gail! Thanks for giving such a detailed tutorial. This is sure to brighten anyone's day. I love this card. I'm going to give it a try. I think this is a brilliant idea. Gail that pop-up card is just delightful. A very good tutorial, love it. I am sure it cheered your friend Nancy.